You’ve got to be constantly on your toes as a gardener! Here’s an example; remember last month I was contemplating slowing up my rampant summer favourites courgettes, aubergines and tomatoes which were racing away in the April sunshine? Well, courtesy of the unexpected and most certainly uninvited May frosts, my plans were shelved – and out came the fleece I’d wrapped up and put away for the winter! That was the start of the month and since those unseasonal interruptions, I’ve been dealing with far more May-like problems, such as outbreaks of aphid activity and a growth surge from the inevitable weeds. Thankfully, I’ve had my new trainee horticulturist Courtney – who we met last month – on hand to help, especially as I’ve had to squeeze in a trip to the RHS Chelsea Flower show as well. 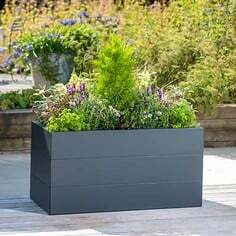 With the plethora of netting, fruit cages, organic sprays, raised beds and other general gardening crop protection solutions available, it’s easy to start thinking your garden is infallible – and that’s why it’s helpful every now and then for Mother Nature to remind us all who really is in charge. We’re often warned about late frosts and the damage they can do to fruit and vegetables well on their way to flowering, but do we really expect it to happen to us...? 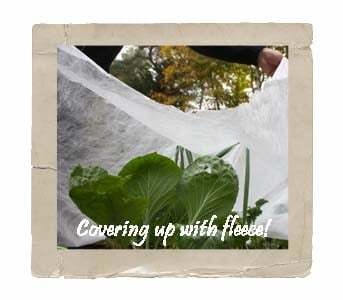 Well, earlier this month saw me scrambling frantically for my reserves of stored-for-the-summer insulating fleece as weather forecasts warned of sub zero temperatures – and a combination of this material, some strategically placed longrow super cloches and the easily transportable mini greenhouse cloches put paid to any potential crop damage. 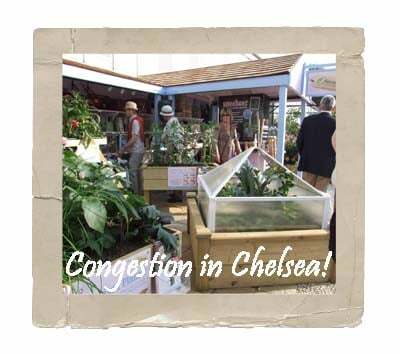 The end of May means only one thing to many gardeners across the country – the RHS Chelsea Flower Show. We’ve come a long way since our debut at the show some eight years ago and I’m delighted that the hard work that many of us at Harrod Horticultural put in was rewarded by the Certificate of Merit awarded to our display. 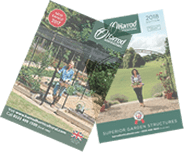 It’s not the first time we‘ve scooped this accolade – the highest a trade stand can achieve – but it’s very nice to know the RHS approve of our display. 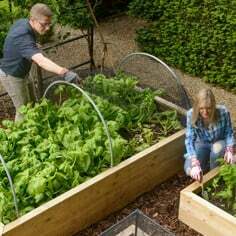 Growing your own fruit and vegetables is a sociable pursuit; you might make friends with your fellow plot owners down at the allotments; discuss the size of your tomatoes over the fence with your neighbour or even swap ideas at the local village or county show. However, there’s a specific group you won’t want to get pally with – garden pests! Unfortunately, you’ll end up getting acquainted whether you like it or not and Courtney has spent the last week or so trying to eradicate the aphid infestation which has gradually been building up in the greenhouse. Attracted by the soft, green and juicy leaves of tomatoes and aubergines, these sap-sucking pests are extremely commonplace and left untreated, they can greatly reduce the vigour of any plant, spread potentially fatal plant viruses and cover fruit in honeydew, on which sooty moulds can flourish. Throw in the fact that they reproduce at an astonishing rate – one of my favourite gardening stats is that a single aphid could produce around ten million offspring in about 100 days, given the optimum conditions – and it’s clear they’re not good news! On the subject of good news, there are plenty of control solutions for aphids – aka greenfly, blackfly and various other terms – readily available, many of which are organic. Courtney’s been busy with her Savona fatty-acid derived spray which kills aphids and other similar-sized garden nasties on contact, and regular blasts of this organic treatment seem to be working – I’m particularly happy to use this spray as no harmful residues are left. I really want to get my hands on one of the natural pest control remedies though, and let some hungry predators munch their way through the aphids – Courtney’s good but there’s only one of her, and I keep thinking what damage 500 ravenous lacewing larvae, for example, could do to an aphid infestation! Of course, if I decide to go down this natural predator route I’ll need to stop spraying as the Savona and Insect Killer Spray don’t discriminate against the good guys – and I’ve always got our Pest Control expert Julian Ives to consult, as have you! 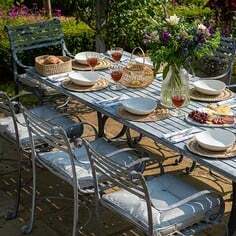 Julian’s ready and willing to solve the increasing number of pest control issues which arise as the weather picks up, and sending him an e-mail, letter or even an image of what’s going wrong in your garden could pay dividends. 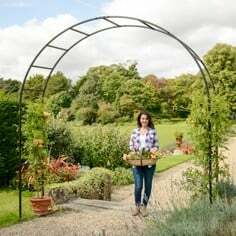 Think of summer in the vegetable garden and invariably you’ll conjure up an image of runner and French beans clambering up some kind of support frame. With luscious thick growth, a profusion of flowers and those all important fresh pods, bursting with flavour, they really are an impressive crop both in the garden and the kitchen. I’m excited about the prospects for this year’s vintage already, based on the ground preparation and the frame I’m using to give these majestic climbers all the support they need. That’s the roots taken care of but what about the plants, and the question of how to satisfy the climbing habit of runner and French beans? 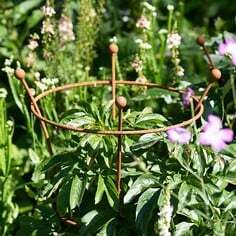 I do like the look of the rustic, traditional bean pole system but I’ve always considered these assemblies rather precarious, and I can’t think of many worse things in the garden than a mid-summer bean frame collapse. 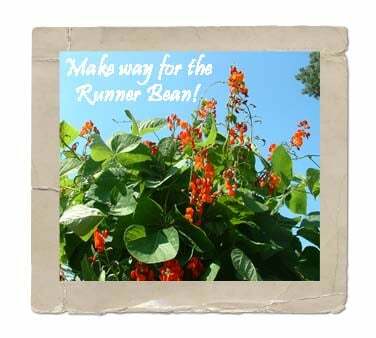 Precarious is one trait you certainly couldn’t label the Runner Bean Support Climbing Frame with; the galvanised steel frame is perfectly set-up to handle pod-laden plants without breaking sweat and it’s this assurance which gives performance the edge over looks for me. There’s even the option of a 3m extension to double the standard frame 3m length, but I’m hoping my crop will be so heavy that it won’t be necessary. I’ll keep you posted on my bean progress over the summer! 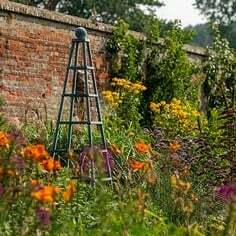 Also on pest alert is Head Gardener Dave, the meticulous maintainer of the formal gardens surrounding the Stephanie’s Kitchen Garden, and who has been known to lend a very helpful hand in my kitchen garden on occasions. Dave’s been handed the task of monitoring and ultimately reducing the codling moth damage to the apples in the small orchard, and has been busy hanging up codling moth traps to check on the potential damage. Explains Dave; “I’ll use the traps to get an idea of the amount of male moths around, and I’ll use this information to apply the Nemasys Codling Moth Killer to knock out the pupae of the moth later in the summer. I’m already looking forward to next year’s harvest,” he said with a glint in his eye! I’ll leave Dave to his moth hunting and hedge trimming as I must remind you of a forthcoming date for your diary in July. 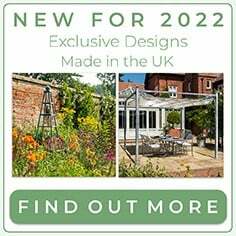 Following the success of our stand at the Chelsea flower show, some of our products – including a Decorative Fruit Cage, Raised Bed Tables and a Manger Raised Planter – will be on display in the major new Home Grown exhibit at the RHS Hampton Court Palace Flower Show in early July. If you’re visiting the show, don’t forget to take in this wonderful celebration of growing your own produce and meet some of our knowledgeable staff who will be hand to answer any questions you may have - you'll get to see our products close up too!